Giovanni Bravo wrapped up his career with the Woodburn cross country team on Saturday with an eighth-place finish at the 2018 4A Boys Cross Country State Championships. 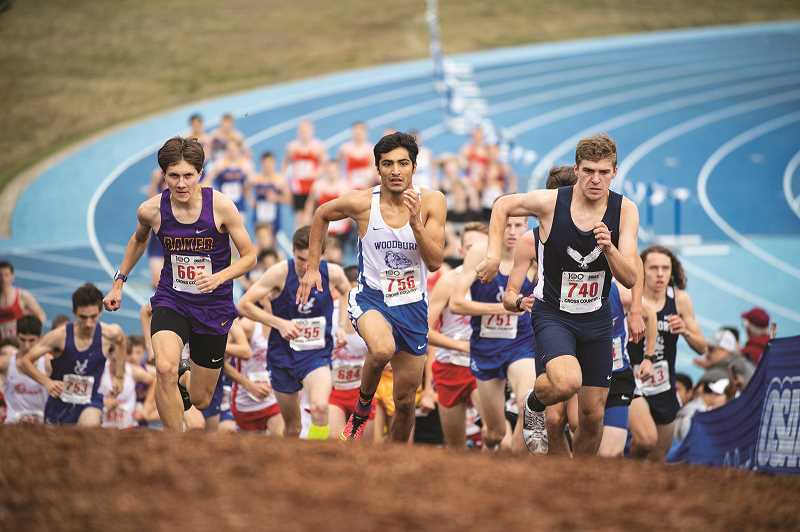 A senior, Bravo has been a regular representative for Woodburn at the state meet in Eugene since he joined the cross country program as a junior in 2016. Bravo finished 16:38 in his third consecutive race at the Lane Community College course, beating his sophomore time of 16:43, but falling short of the personal record of 15:53 he set at last year's race. It was the second year in which Bravo has finished on the top-10 podium. He did so last year as a junior in the 5A race, where he placed seventh overall. Bravo placed in the top 10 in every race in which he competed this year, including back-to-back first-place finishes in September and a season-best time of 16:13.50 in a fifth-place finish in the Oregon West Conference Championships.